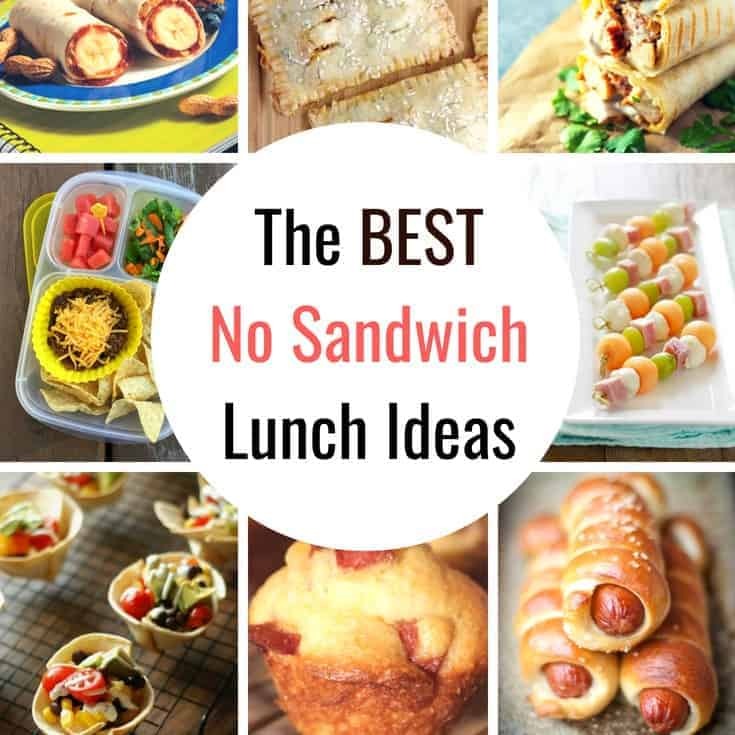 No Sandwich Lunchbox Ideas – Back to school time is coming and it can get hard to think of new school lunch ideas that the kids will love to eat. It is time for a new spin on lunchbox ideas! The normal sandwiches can get boring so how about some Sandwich Free Lunch Ideas! The school year can be stressful, so we aim to make things easier for parents. That’s why we created our School Cheat Sheets (they are to help the parents as much as the kids), our Best First Day of School Picture Ideas and our Teacher Appreciation Gift Ideas. Every school year I really get in a rut with making sandwiches. 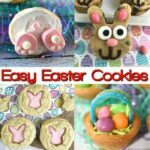 My kids get super tired of eating them, too! Not this year! 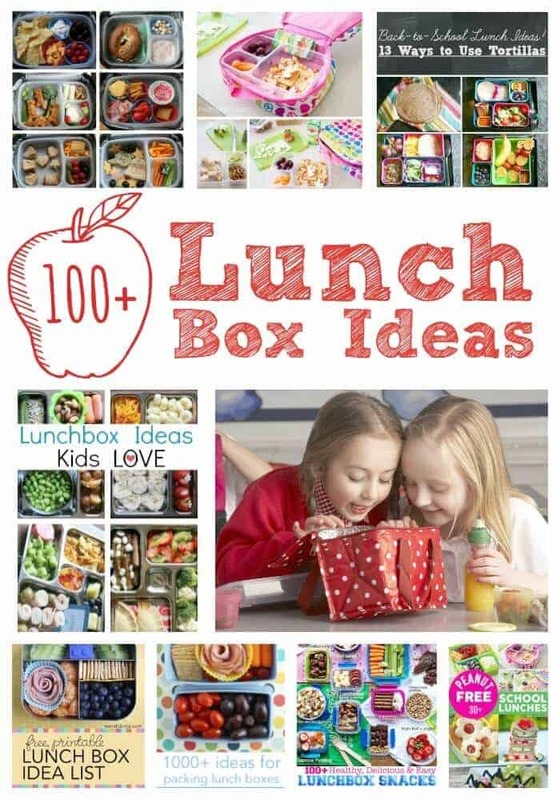 I am armed with tons of yummy no sandwich lunchbox ideas that is going to make lots of moms (and dads) super excited. It seems like just yesterday that my kids started school. I was so excited to make their lunches… I dreamed of cookie cutter dinosaur sandwiches and a special note each day. Alas, that was just a dream. If I’m being honest, I don’t love making lunches all that much… gasp, I know! That is the one thing that I truly celebrate when summer rolls around. If you are looking to take your school lunches to the next level and your kids will tolerate the occasional sandwich – be sure to see our Creative School Lunch Ideas….they will be so excited to see what is next every day at lunch time! This year, things are going to be different – we are going sandwich free! I am now armed with some really cool ways to make lunch that we all can be happy about. With these awesome no-sandwich lunch ideas, I have a plan and a renewed excitement. 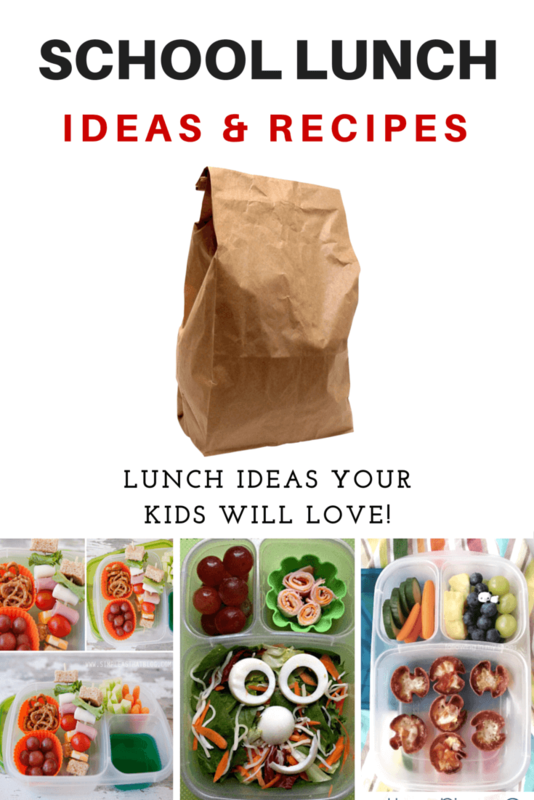 Without further ado, I give you some really awesome ideas for creative lunchbox ideas with no sandwich at all! 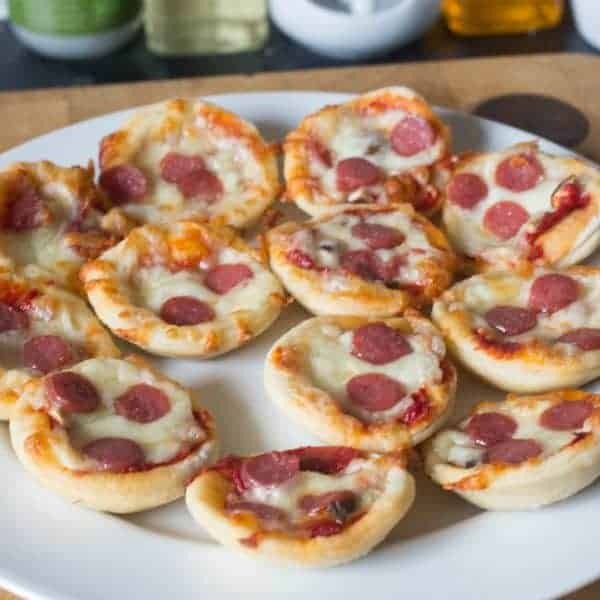 My entire crew would go crazy over these mini pizza bites by Mum in the Madhouse. I love that she actually makes these with her kids. Can you ever go wrong with pizza? I think not… this one is a keeper! 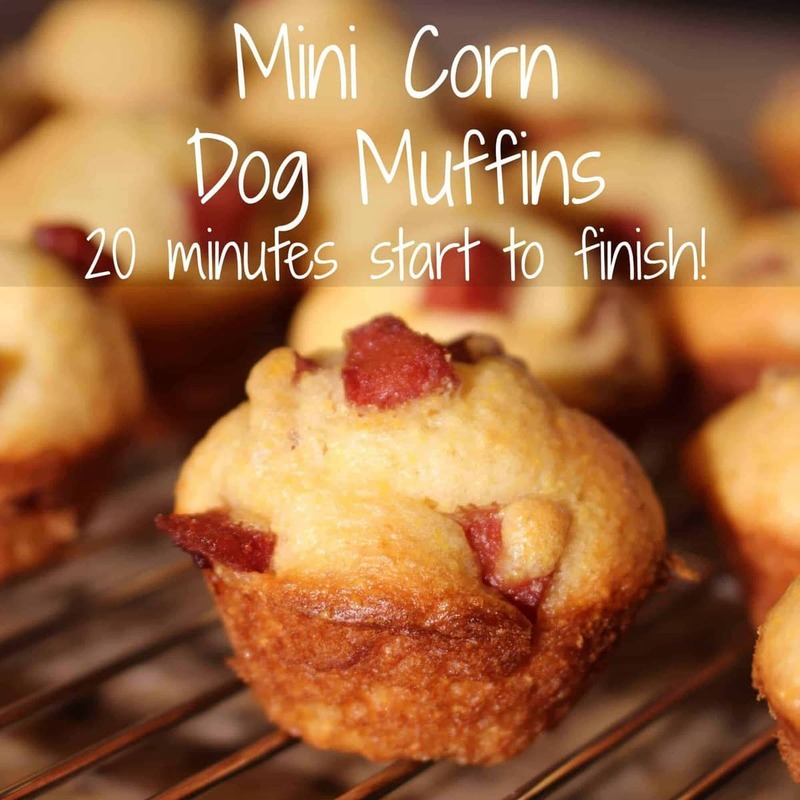 These mini corn dog muffins are a huge hit every single time I make them. They take less than 20 minutes to cook and they are the perfect lunch time meal. Toss a couple of these in your kids lunchbox and every kid at the lunch table will wish their mom was as cool as you. You can hit all four food groups when you make lunch on a stick like Good Life Eats. She literally grabs a few things from the fridge and puts them on a stick. A creative slice of genius. 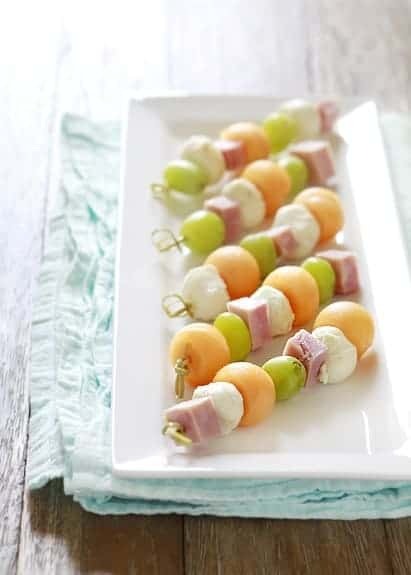 I’m already thinking of all the ways I can make these fun kabobs! 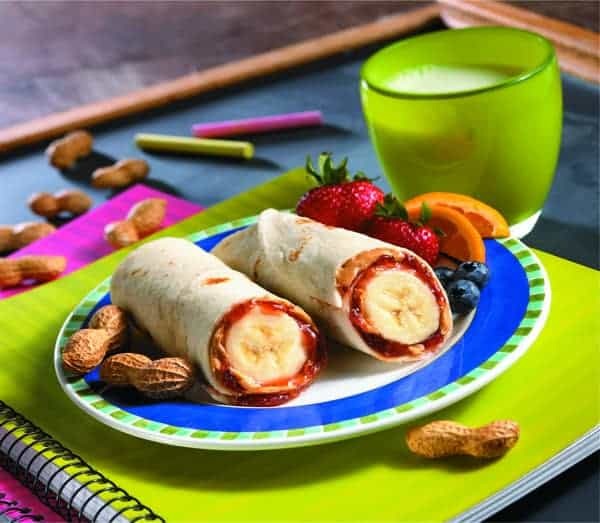 Peanut Butter and Jelly Banana Burritos by Mission. They actually look pretty tasty and the addition of the banana can add some great stuff to your child’s lunch. This is super creative and almost a sandwich… but not quite. An now for something completely different. 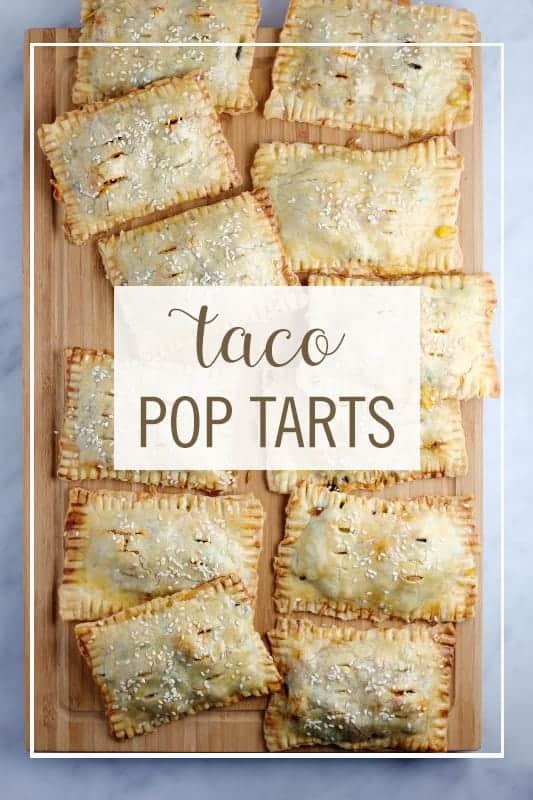 Have you ever tried a Taco Pop Tart? Me neither, but I totally want to! 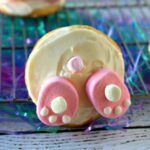 Babble shows us how to create these awesome taco treats and I have a feeling you guys are going to love it. Lemons for Lu Lu serves up these fancy taco tortilla cups and I can’t wait to try them for myself. They’d be perfect for a school lunch idea, too. 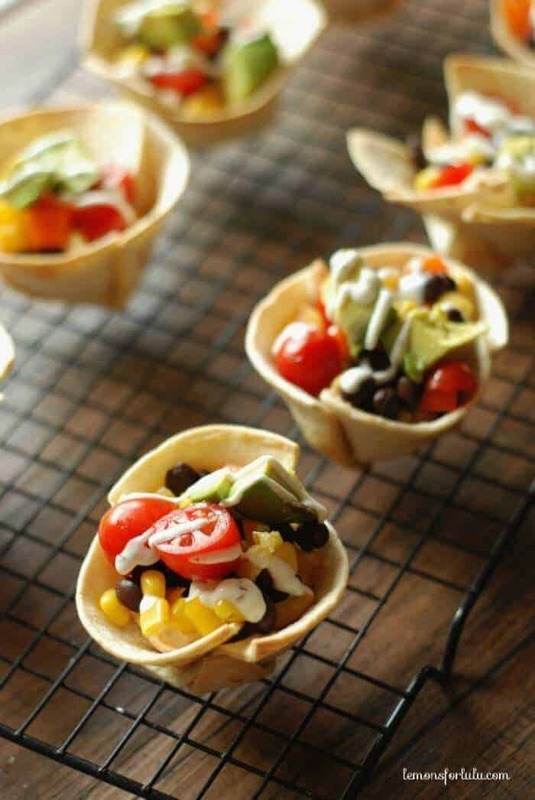 Fill up your tortilla cup with your child’s favorite taco toppings or let them create their own at the lunch table. A little mealtime fun! Everyone loves nachos and these are such a great idea for a school lunch. 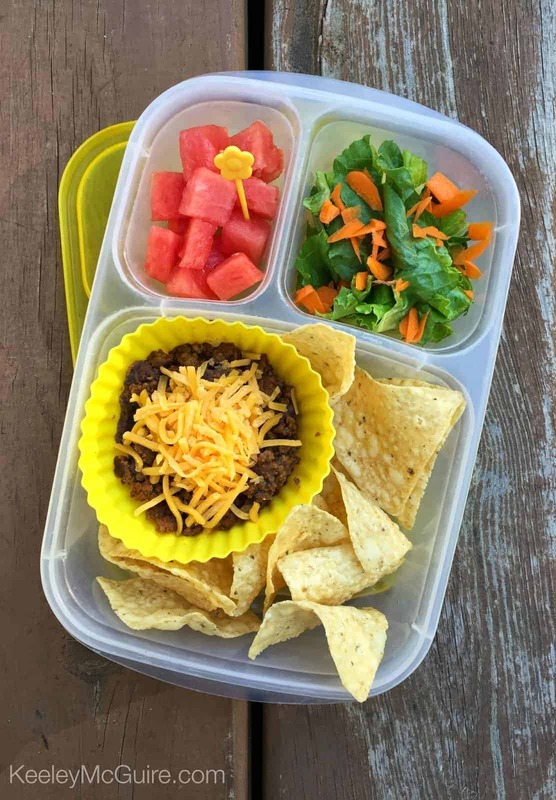 Keeley McGuire shows us how she uses leftover taco meat to create a yummy lunchbox treat for her kids. She suggests putting the meat and beans in a thermos to keep it warm if your child doesn’t have access to a microwave. 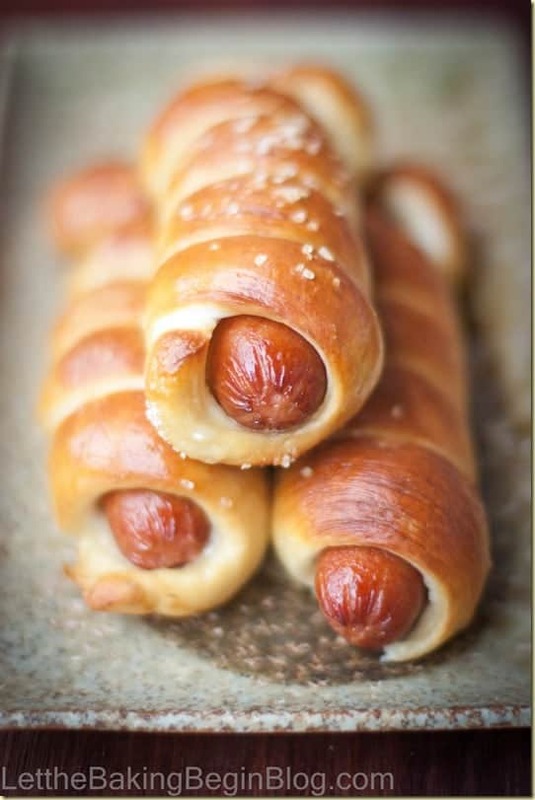 I don’t know who will be more excited about these pretzel dogs by Let the Baking Begin, me or the kids? They look so scrumptious and I’m pretty sure that I’ve been missing these all of my life. I love soft pretzels and this recipe looks amazing! 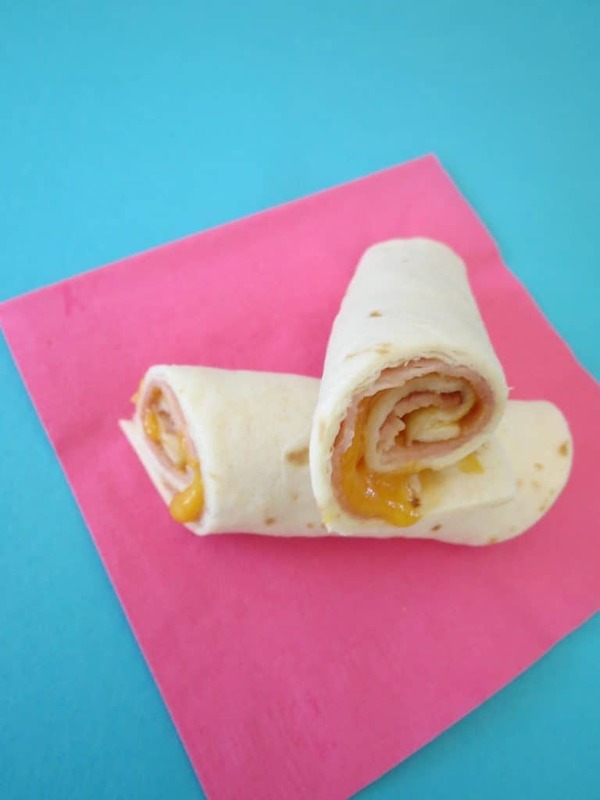 If your kids like more traditional flavors, these ham and cheese roll ups could be the perfect solution. Our Wasabi Life uses ham, cheese and flour tortillas to make a simple and really fast lunch idea that even your kids could throw together. That sounds like perfection to me! This gem of a recipe is on my must-make list. 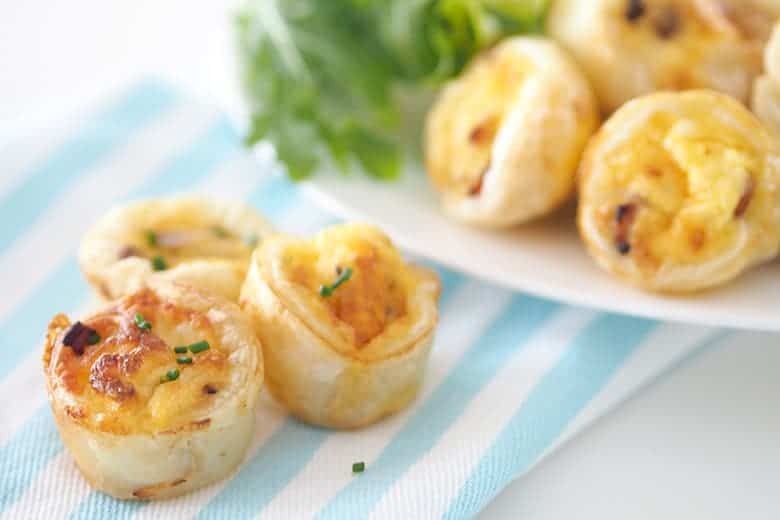 These cheese and bacon mini quiche by Laura Fuentes are just so adorable! You guys know that I love anything that is bite sized and naturally lunchboxes are perfect for bite sized beauties. The thing I love most about this idea is that you can cook a ton and freeze them. This is perfect for on the go breakfast, too! 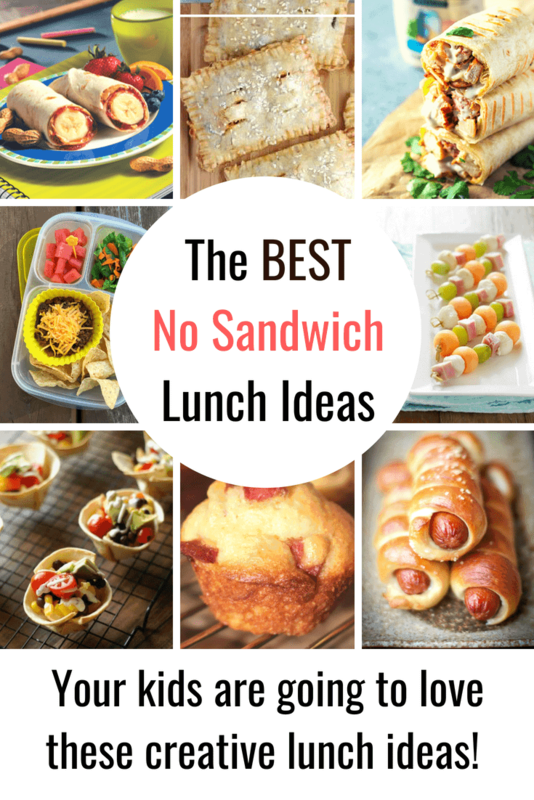 I would love to hear some of your great ideas for no sandwich lunches now that school is almost back in session! You read my mind. My eldest is going off to first grade next year so this lunchbox thing is a new challenge, especially with a picky eater! Thanks for sharing! Awwwwwww good luck!! It goes by so fast!